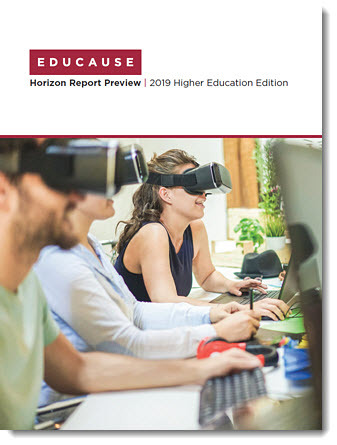 The EDUCAUSE Horizon Report Preview provides summaries of each of the upcoming edition’s trends, challenges, and important developments in educational technology, which were ranked most highly by the expert panel. This year’s trends include modularized and disaggregated degrees, the advancing of digital equity, and blockchain. For more than a decade, EDUCAUSE has partnered with the New Media Consortium (NMC) to publish the annual Horizon Report – Higher Education Edition. In 2018, EDUCAUSE acquired the rights to the NMC Horizon project. The need for leadership development has never been more urgent. Companies of all sorts realize that to survive in today’s volatile, uncertain, complex, and ambiguous environment, they need leadership skills and organizational capabilities different from those that helped them succeed in the past. There is also a growing recognition that leadership development should not be restricted to the few who are in or close to the C-suite. With the proliferation of collaborative problem-solving platforms and digital “adhocracies” that emphasize individual initiative, employees across the board are increasingly expected to make consequential decisions that align with corporate strategy and culture. It’s important, therefore, that they be equipped with the relevant technical, relational, and communication skills. 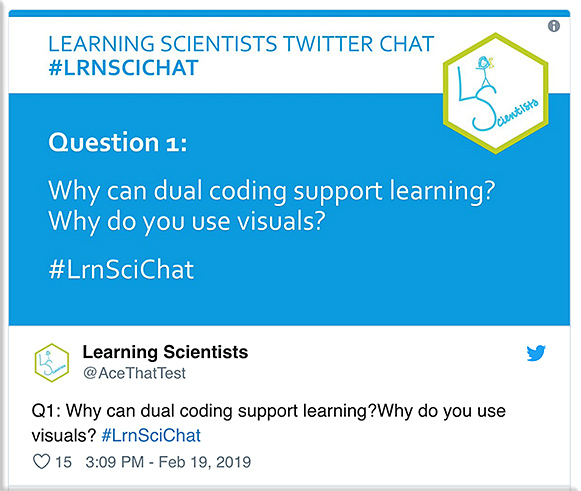 The good news is that the growing assortment of online courses, social and interactive platforms, and learning tools from both traditional institutions and upstarts—which make up what we call the “personal learning cloud” (PLC)—offers a solution. 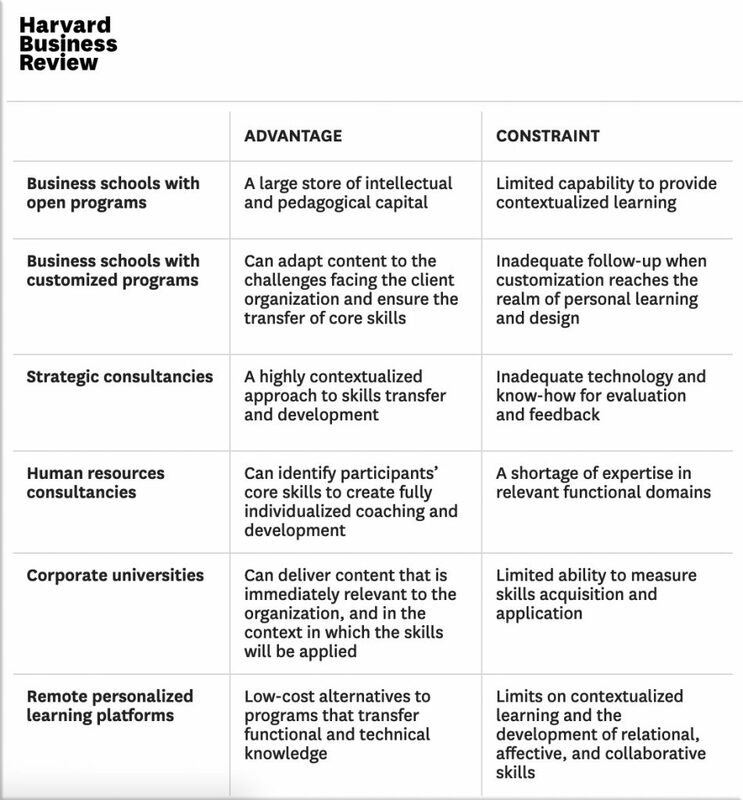 Organizations can select components from the PLC and tailor them to the needs and behaviors of individuals and teams. The PLC is flexible and immediately accessible, and it enables employees to pick up skills in the context in which they must be used. 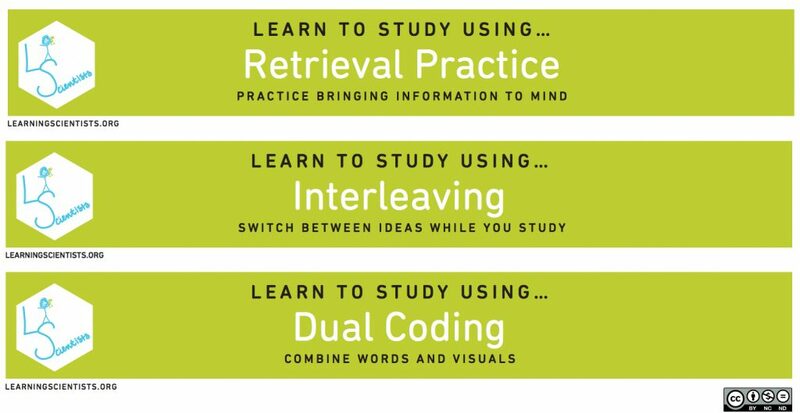 In effect, it’s a 21st-century form of on-the-job learning. In this article we describe the evolution of leadership development, the dynamics behind the changes, and ways to manage the emerging PLC for the good of both the firm and the individual. The idea behind the Embedded EthiCS initiative arose three years ago after students in Grosz’s course, CS 108: “Intelligent Systems: Design and Ethical Challenges,” pushed for an increased emphasis on ethical reasoning within discussions surrounding technology, according to Grosz and Simmons. One student suggested Grosz reach out to Simmons, who also recognized the importance of an interdisciplinary approach to computer science. The HoloLens 2 is only being sold to corporations, not to consumers. It’s designed for what Kipman calls “first-line workers,” people in auto shops, factory floors, operating rooms, and out in the field fixing stuff. It’s designed for people who work with their hands and find it difficult to integrate a computer or smartphone into their daily work. Kipman wants to replace the grease-stained Windows 2000 computer sitting in the corner of the workroom. It’s pretty much the same decision Google made for Google Glass. Microsoft is making a new HoloLens headset, called HoloLens 2. But, it’s only getting sold to companies, not consumers. Meant for professionals who work with their hands and not on computers, the new HoloLens has an improved field of view and doesn’t clip as much as the original. Dieter Bohn visited Microsoft’s campus to get an early look at the new HoloLens 2 headset. Microsoft unveiled HoloLens 2, an upgraded version of its mixed-reality headset, on Sunday at Mobile World Congress in Barcelona. The new headset will cost $3500, lower than the cost of the earlier version. The HoloLens 2 launch comes amid controversy over Microsoft’s $480 million deal to sell 100,000 of its mixed reality headsets to the U.S. Army. 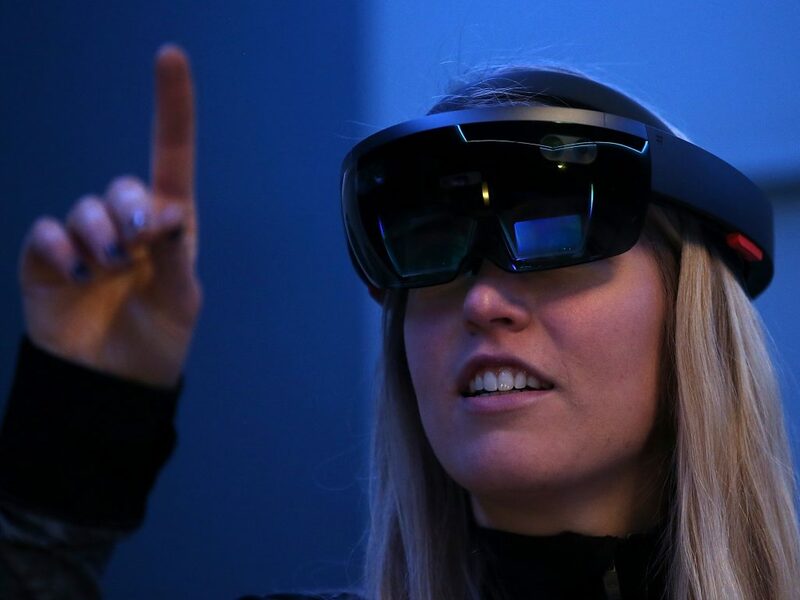 Microsoft unveiled HoloLens 2, an upgraded version of its mixed-reality headset, on Sunday in Barcelona, in a bet that doubles down on the idea that businesses will increasingly use hologram technology in the workplace. The HoloLens 2 headset will cost $3500 —$1500 less than the commercial price of the first HoloLens device Microsoft released more than four years ago. 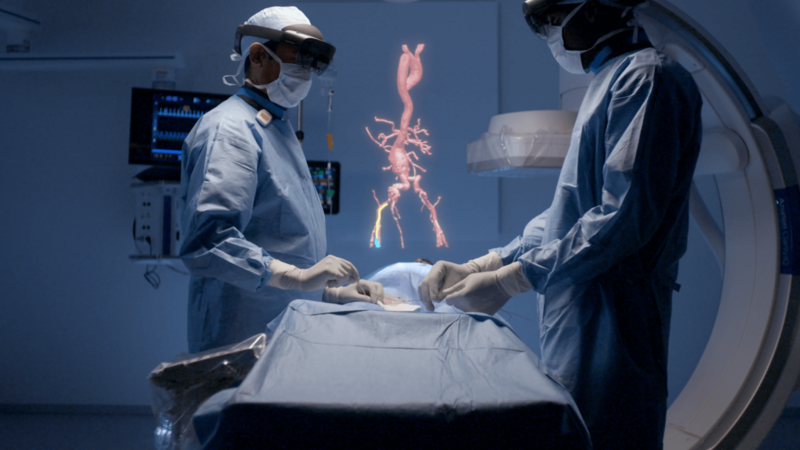 Health technology company Philips unveiled a unique mixed reality concept developed together with Microsoft Corp. for the operating room of the future. Based on the state-of-the-art technologies of Philips’Azurion image-guided therapy platform and Microsoft’s HoloLens 2 holographic computing platform, the companies will showcase novel augmented reality applications for image-guided minimally invasive therapies. “Your system is only as good as the data that you use to train it on,” says Kate Crawford, cofounder and co-director of AI Now and an author on the study. Takeaway: Wearable devices have been helping people for years now, but the addition of AI to these wearables is giving them capabilities beyond anything seen before. Restoring Lost Sight and Hearing – Is That Really Possible? People with sight or hearing loss must face a lot of challenges every day to perform many basic activities. From crossing the street to ordering food on the phone, even the simplest chore can quickly become a struggle. Things may change for these struggling with sight or hearing loss, however, as some companies have started developing machine learning-based systems to help the blind and visually impaired find their way across cities, and the deaf and hearing impaired enjoy some good music. German AI company AiServe combined computer vision and wearable hardware (camera, microphone and earphones) with AI and location services to design a system that is able to acquire data over time to help people navigate through neighborhoods and city blocks. Sort of like a car navigation system, but in a much more adaptable form which can “learn how to walk like a human” by identifying all the visual cues needed to avoid common obstacles such as light posts, curbs, benches and parked cars. As citizens, what do we do if we don’t like a direction that’s being taken on a given technology or on a given set of technologies? Or on a particular feature, use, process, or development involved with an emerging technology? One other reflection here…it’s the combination of some of these emerging technologies that will be really interesting to see what happens in the future…again, for good or for ill.
How can we weigh in? University AI programs should expand beyond computer science and engineering disciplines. AI began as an interdisciplinary field, but over the decades has narrowed to become a technical discipline. With the increasing application of AI systems to social domains, it needs to expand its disciplinary orientation. That means centering forms of expertise from the social and humanistic disciplines. AI efforts that genuinely wish to address social implications cannot stay solely within computer science and engineering departments, where faculty and students are not trained to research the social world. Expanding the disciplinary orientation of AI research will ensure deeper attention to social contexts, and more focus on potential hazards when these systems are applied to human populations. Furthermore, it is long overdue for technology companies to directly address the cultures of exclusion and discrimination in the workplace. The lack of diversity and ongoing tactics of harassment, exclusion, and unequal pay are not only deeply harmful to employees in these companies but also impacts the AI products they release, producing tools that perpetuate bias and discrimination. The current structure within which AI development and deployment occurs works against meaningfully addressing these pressing issues. Those in a position to profit are incentivized to accelerate the development and application of systems without taking the time to build diverse teams, create safety guardrails, or test for disparate impacts. Those most exposed to harm from 42 these systems commonly lack the financial means and access to accountability mechanisms that would allow for redress or legal appeals. 233 This is why we are arguing for greater funding for public litigation, labor organizing, and community participation as more AI and algorithmic systems shift the balance of power across many institutions and workplaces. 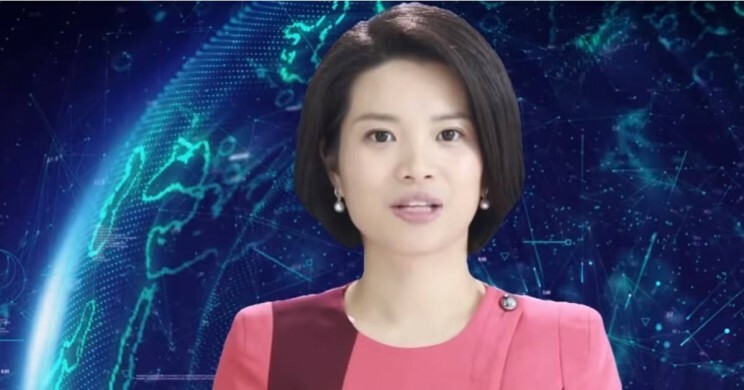 China’s Xinhua News Agency announced today that it will debut their female-gendered AI news anchor in March. An exact digital replica of the real world is an essential infrastructure, but it’s only part of the meaning of the new spatial computing platform. Unless you are Snow White’s step mother (or Lord Farquaad), the mirror is merely a reflection of the real world; it doesn’t enhance it. The Augmented content overlaid on top of the world’s digital replica is what’s really interesting: “context, meaning, and function” in Kelly’s words. Without it — it’s like the Internet before the Web — great potential, used by few. Hence my initial instinct to include Augmented Reality in the moniker. So should we keep looking for a better term that captures the “augmented” sauce on top of the mirror ? Can’t we simply settle on “Spatial Computing”…? Ask any millennial and she’ll confirm: “I need info about what’s in front of me right now” — what’s this Restaurant, this object, that person? And she is sick of searching it the old fashioned way. Changing how information is organized will profoundly disrupt the Web economy. A handful of companies became giants thanks to the current model. No wonder they are all contenders in the battle for AR Cloud dominance. The Web Economy was defined by “clicks on links” (CPM/CPC). The AR Cloud-based spatial economy will transition to what I like to call “clicks on bricks” — a punning rhyme that captures a new world where everything is driven by digital interaction with the physical world. Hmmm….where everything is driven by digital interaction with the physical world.